Ultracapacitors for engine starting. Why all the buzz. 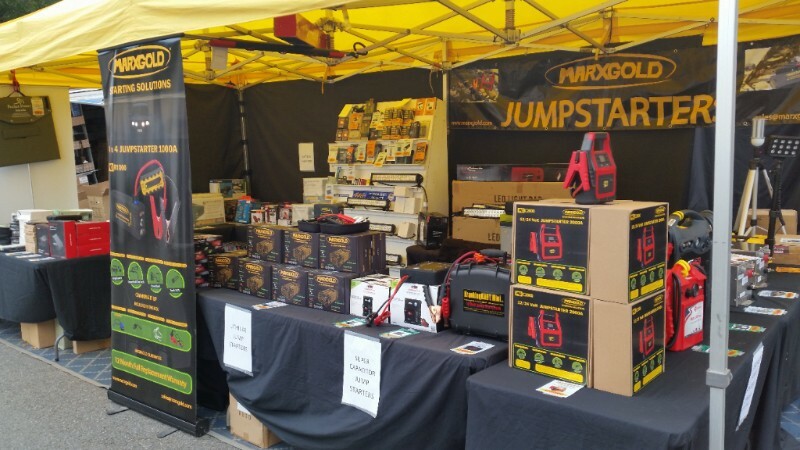 Just imagine being able to replace the engine cranking service provided by your batteries with a product that is completely maintenance free, never needs to be replaced and will provide reliable starting for the life of your equipment. This is what an ultracapacitor starting module does. Batteries are great for storing large amounts of energy in a relatively small space, but they're heavy, expensive, slow to charge, of limited lifespan, and often made of toxic materials. Ordinary capacitors are better in almost every respect, but not so good at storing lots of energy. A supercapacitor (SC) (also called a supercap, ultracapacitor or Goldcap) is a high-capacity capacitor with capacitance values much higher than other capacitors (but lower voltage limits) that bridge the gap between electrolytic capacitors and rechargeable batteries..
Ultracapacitors are made of non hazardous materials such as aluminum, carbon, nickel etc. They are a sealed unit and use a physical reaction to charge and discharge. Batteries are made of hazardous materials such as lead and sulfuric acid and use a chemical reaction to charge and discharge. Ultracapacitors output a large amount of power, much more powerful than a battery system enabling diesel engines to crank quickly. An engine can start up to 30% quicker and with up to 2 volt less drop in the starting current supplied during an engine starting event. Ultracapacitors recharge super quickly, typically after an engine starting event the ultracapacitor will recharge in less than thirty seconds. Ultracapacitors have an very long service life, our ultracapacitors can be recharged and discharged providing starts up to 1,000,000 times in their life. Ultracapacitors are maintenance free, they can be installed in any orientation and in hard to get to locations may not need to be accessed again unless you wish to install it on another vehicle,vessel or equipment.. In most cases you will still need batteries. Batteries will supply energy for key off activities. Depending on your energy needs you may be able to eliminate some or all of your batteries (say in the case of generator starting). Your remaining batteries may be left as crank batteries or by replacing them with deep cycle batteries will also enhance your system. With the combination of both an ultracapacitor starting module and batteries on your vehicle, vessel or equipment, the advantages are enormous. 10 advantages of installing an ultracapacitor starting module. Your installed batteries will last 2 to 3 times longer as they will not be supplying the power to crank the motor therefore reducing the amount of cycling of the battery.. Starting with full power starts will reduce maintenance costs of the starter motor and electrical bus. Down time and remote area call outs to start vehicles, vessels and equipment from flat batteries will be a thing of the past. Batteries can be dedicated to key off activities like AC or modern tech systems and will not affect the starting ability of your vehicle, vessel or equipment and will also provide longer periods of energy use. As you upgrade, the starting module can be easily removed and installed onto the new equipment. Worry free, you will not need to worry if you have left lights or accessories on accidently, the ultracapacitor starting module will start your engine even it the batteries are completely flat..
Lightweight, ultracapacitor starting modules weigh up to 50% less than a battery and in cases can replace 2 or more batteries. Only one 24 volt starting module needed for a 24 volt systems. Ultracapacitors are enviromentaly friendly and do not contain lead or sulfuric acid. Ultracapacitors can cycle up to 1,000,000 times compared to around 300 to 500 cycles for a battery. 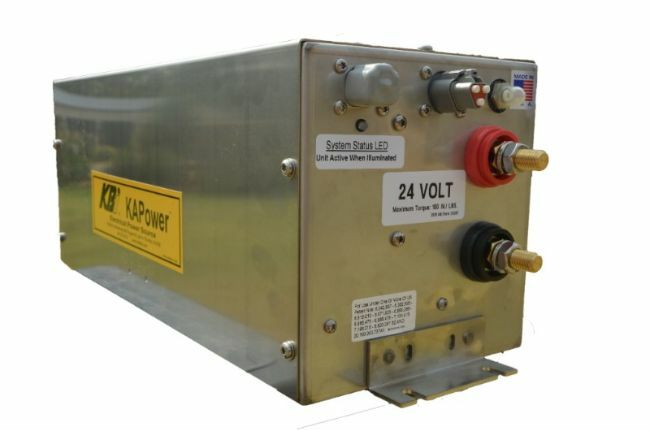 Made in the USA, KSM is a maintenance free module and is the only ultracapacitor module available that can perform irrespective of any batteries installed or their state of charge. Available in a range of both 12 and 24 volt.The KSM has a PLC to control and monitor the state of the KSM. Its patented easy 3 wire installation ensures it will isolate from the battery system when not being used. Built for harsh conditions the KSM is suitable for many industries including marine,transport, earthmoving, transit and farming. During engine starting problems from maintenance issues requiring extended cranking, the patented installation method allows you to recharge the ultracapacitor directly from the installed batteries or any similar voltage source. Made in the USA, uSTART is a starting module designed as a drop in battery replacement and is great for the transport courier industry. Ideal for truck fleets and business that require multiple starts on the vehicles each day. Available in 12 volt for engines up to 12 liters and the newly released 24 volt suitable for engines up to 50 liters. 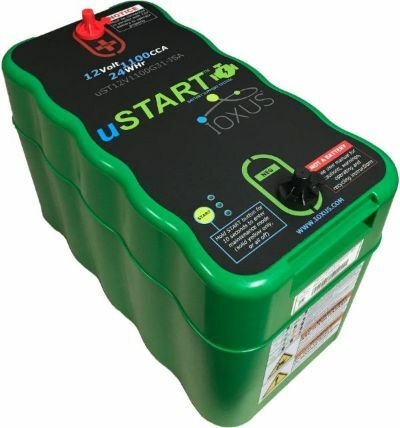 The uSTART connects directly to the other batteries and in a 12 volt system, replaces 1 of the batteries in a 2 or 3 battery system. On a 24 volt system, the uSTART will be additional to the 2 battery system and provides massive power and reliability. Find out if a ultracapacitor starting module is right for your business by filling our a basic cost analysis sheet based on your business. Click here for cost analysis workout. Would you like to visit us onsite, please check when we are in your area. » Ultracapacitors for engine starting. Why all the buzz.